I hope you’ll be able to join me Saturday, December 5 at 6:30 p.m. for a free concert featuring some of my favorite music! I’ll be joined by the fabulous pianist Eun-Kyung Lee-Sullivan in presenting works by C.P.E Bach, Georges Enesco, Georges Hue, Robert Muczynski, and Lowell Liebermann. 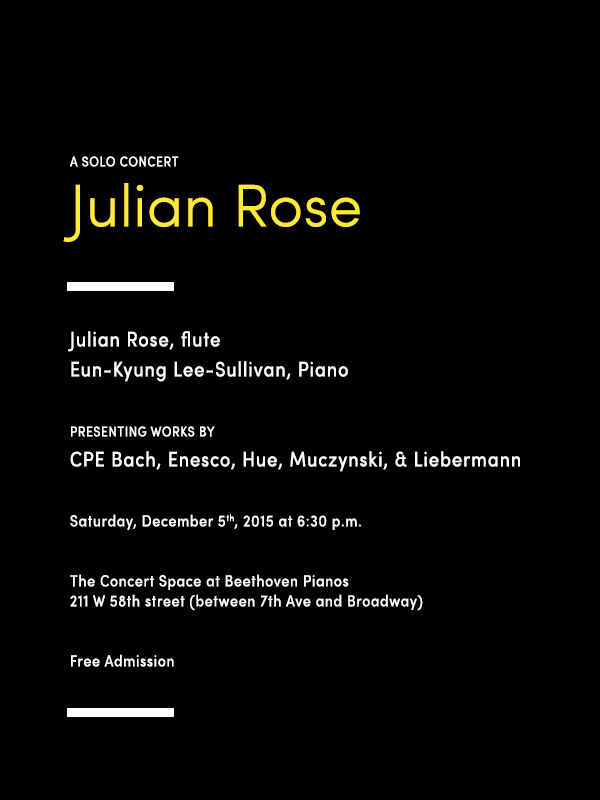 The concert will take place at The Concert Space at Beethoven Pianos (211 W 58th St, between 7th Ave and Broadway), and there will be no charge for admission. I have been selected as one of four finalists in the First Biennial Donald Peck International Flute Competition in Chicago! I’m very excited at the opportunity to perform in the live final round, which will be held from 9:30 am – noon on November 14th in Chicago. 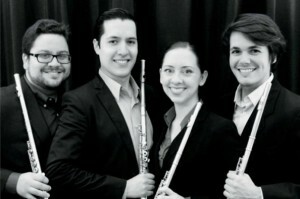 The finals are open to the public, though you may need to register with the Chicago Flute Club. The Festival takes place at the Chicago O’Hare Airport Hilton, room TBD. Julian Rose wins Flute Society of Greater Philadelphia Young Artist Competition!! On Friday, April 24th, six finalists competed live in the 2015 Flute Society of Philadelphia Young Artist Competition. I performed Image by Eugene Bozza, Fantasie #12 by Georg Phillip Telemann, and Sonata Op. 23 by Lowell Liebermann. I am honored to have been named on of the first prize winners, along with Nave Graham. The winner’s recital will be April 25th at 11:45am at the Swope Music School at West Chester University, and I’ll be performing Sonata Op. 23 by Lowell Liebermann, at the request of the judges. Hope to see you there if you’re in the Greater Philadelphia area!! 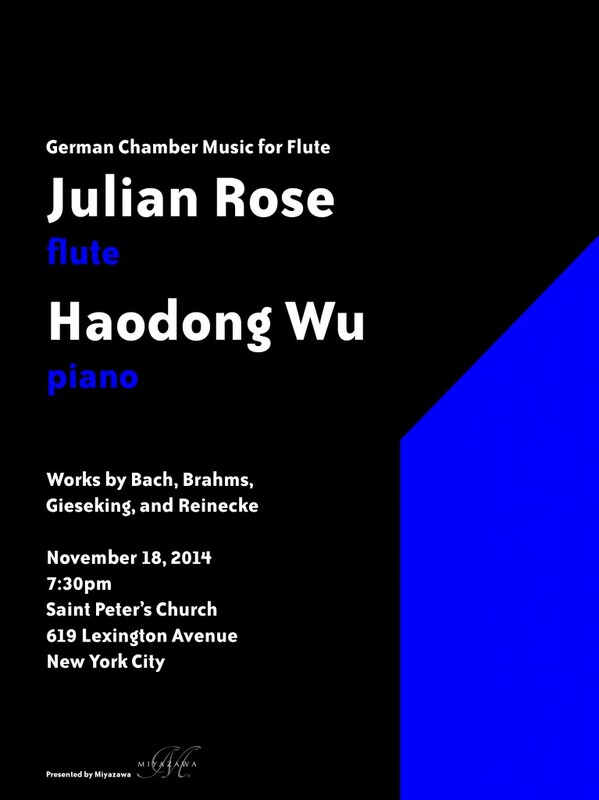 Please join me for an evening of beautiful flute favorites by German Romantic composers. No tickets are required, and admission is free. Donations graciously accepted. On November 18th (a Tuesday) at 7:30 pm, Julian will be performing a full concert at St. Peter’s Church (Lexington @ 54th st) with the lovely Haodong Wu at the Piano. Please join me for an evening of German Romantic Chamber music, including works by Bach, Gieseking, Brahms, and Reinecke. Admission is free, donations accepted. 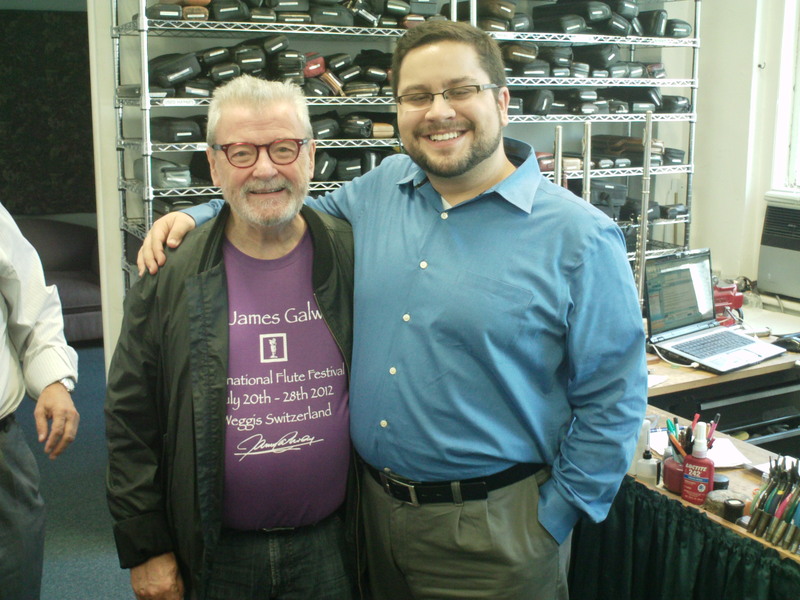 I’ll be attending the First Annual Galway Flute Festival with the man himself, Sir James Galway. I’ll be representing the Flute Center while I’m there, so if you’re in the market for a new instrument, and you’ll be near Atlanta, Let me know what I can bring for you! I’ll be there from Friday to Monday, June 27th – 30th. The M4 Perform in Manhattan Thursday, June 26th! The Metropolitan 4 will be performing at a benefit concert this Thursday, June 26th at the Church of the Holy Apostles (28th St. at 9th Ave). The concert fund-raiser will be from 6-9, and we’ll be performing at around 7:30pm – a short 20 minute set – and there’s an open bar! Come bid on artwork and purchase raffle tickets. Lots of good music and good times! 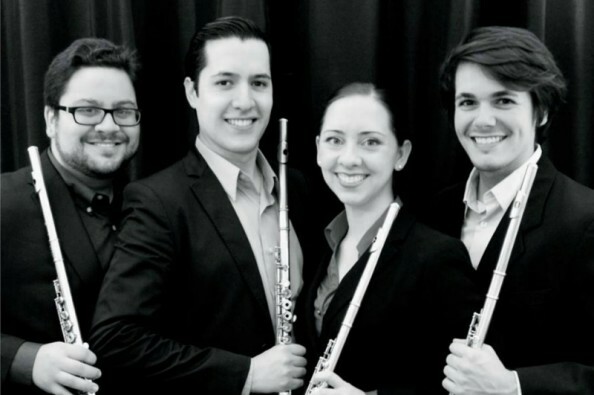 The New York Flute Club 2014 Competition Winner’s Recital is this Sunday, April 25th at 5:30pm at Engelman Recital Hall, Baruch Performing Arts Center, 55 Lexington Avenue (entrance on E. 25th Street), New York City. 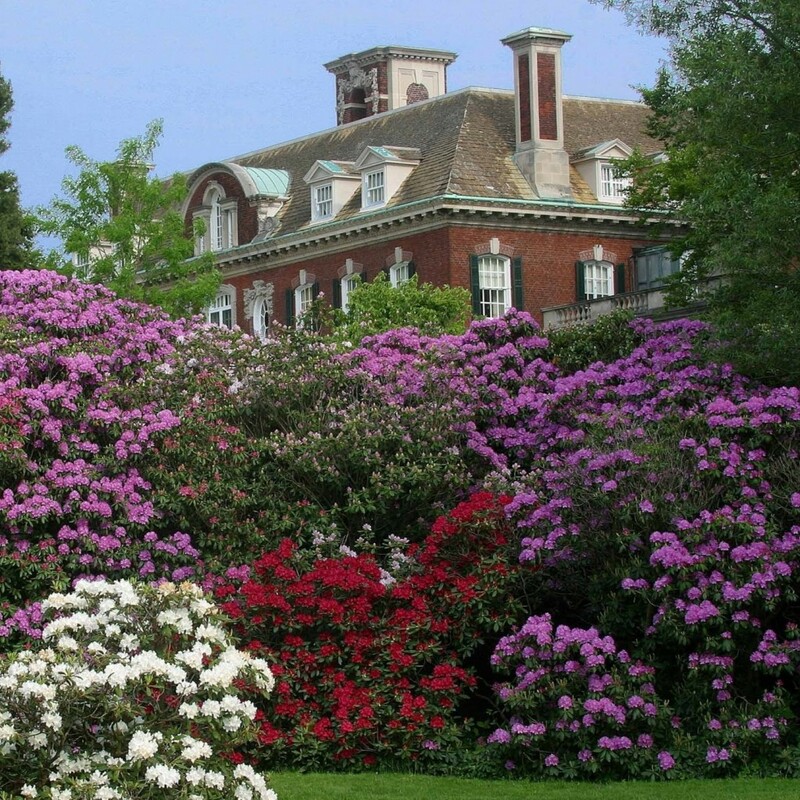 My program will include works by Mozart, Bach, Karg-Elert, and Jolivet! Hope to see you there! This Friday, April 4th, I’ll be heading to the west coast to attend and exhibit at the Portland and Seattle Flute Festivals! Please come visit me at the Flute Center of New York exhibit booth! We’ll have lots of beautiful flutes on display! I’ll also have some time available for lessons and/or coaching while I’m there – let me know if you or your students are interested!